So far our Proposal Writing Course has looked at two things. How to create a central hub (the table of contents) and define your first pillar (the Exec Summary). Next up we’ll go through each section and ‘satisfy’ the folks who published the RFP that Yes, we do know what we’re talking about. 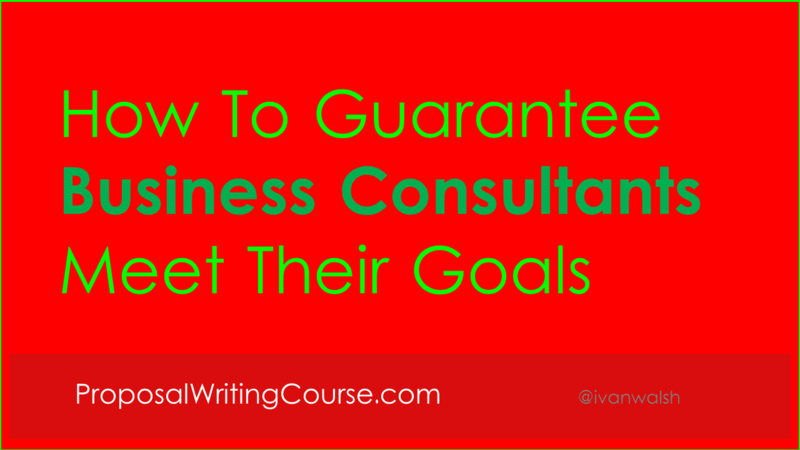 We’re using a Consultancy Proposal as our framework. In this proposal, we’re bidding for a services-based contract. As the services will be performed by our Consultants, we need to persuade the readers that our team is reliable, dedicated, and experienced. We also need to discuss how we’ll monitor them. After all, they’ll be working offsite (i.e. not at our office), which begs the question, ‘How will you supervise them?’. To do this, we will add a Supervision chapter to the proposal. The purpose of this section is to outline the methods and tools we’ll use to monitor the Consultants and ensure they reach their targets. Identify who will monitor (i.e. supervise) the Consultant. In general, this is the Project Manager. Show how the supervisor will work as the Government agency’s Project Manager, coordinating communications, budget controls and report generation activities. In other words, our PM and their PM will have joint meetings where they will discuss Status Reports and the performance of the project to date. This sentence is to acknowledge that you are bidding for these services. Use the rest of this chapter to outline how that person will with their team in real terms. Avoid business cliches and referring to synergies and other such meaningless jargon. Paint a picture for the Government Agency. Show them how the consultant would work with them on the ground. Identify the types of issues that are likely to arise. Explain how he/she will respond to these and pro-actively address them. Outline the lines of communication and how the Consultant will highlight issues, risks, and contingencies to both parties. Discuss contingency plans, for example, if the Consultant needs to leave in the middle of the project. How will this be managed? Who is the back-up? How have you addressed this in the past. The point here is not to focus on the Consultant’s academic achievements (that’s later) but to show how they will work with the other team on a daily basis. The reviewers may also be the on the PM team that will liaise with the Consultant. Put their fears to rest. Give them reasons to enjoy working with your colleague. Make it personal. Make it stick. In the next lesson, we’ll look at how to write the Deliverables.